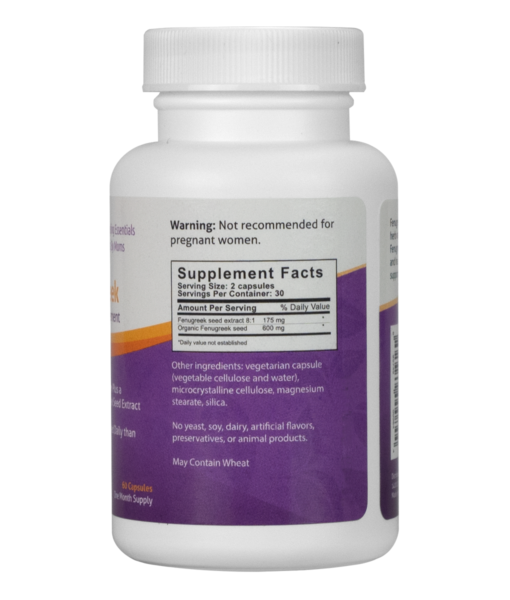 Unlike other available Fenugreek supplements which can require taking up to 8 capsules per day, Fairhaven Health’s Fenugreek contains a unique blend of organic Fenugreek Seed Powder, along with a concentrated Fenugreek Seed Powder extract (8:1), delivering a dose equivalent to 2000 mg of standard fenugreek seed powder in just 2 vegetarian capsules each day. Recommended Use: Take 2 capsules 1 or 2 times daily. Do not exceed 4 capsules in one day. How long should it be before I see a change in my supply? In most cases, women see an increase in milk production within the first 2-3 days after beginning supplementation with fenugreek, with full effectiveness attained within 2 weeks or so. Should I take a prenatal along with Fenugreek? Yes, we would highly recommend you take a prenatal or postnatal vitamin along with Fenugreek. We recommend Nursing Postnatal. Is your supplement different than others on the market? Unlike other Fenugreek supplements on the market which can require taking up to 8 capsules per day, our Fenugreek contains a unique blend of organic Fenugreek Seed Powder, along with a concentrated Fenugreek Seed Powder extract, delivering a dose equivalent to 2000 mg of standard fenugreek seed powder in just 2 vegetarian capsules each day. How many capsules do I take daily? You can take 2 capsules 1 or 2 times daily. We do not recommend you exceed 4 capsules in 1 day. How large are the capsules? 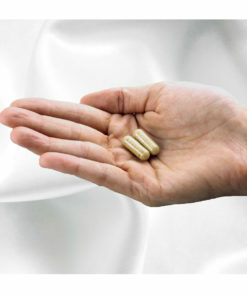 Our Fenugreek capsules are approximately the size of a regular multivitamin. Yes, our Fenugreek supplement is vegan. Goes down easy. Weird after taste but very negligible. 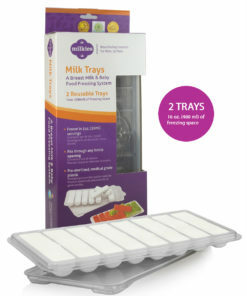 I really feel that this product has made a difference in my milk supply. Not a huge difference, but it has increased a little. Shipping was very fast. 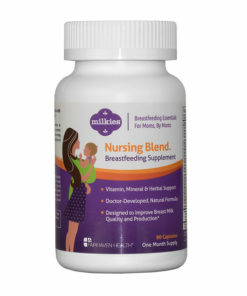 I used this product in conjunction with the Milkies Nursing Supplement and definitely saw results. 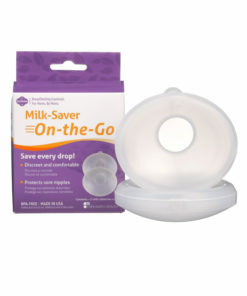 I was almost exclusively pumping (now nursing only once a day), but noticed a boost in my supply when I started this product AND the Nursing Supplement. I have taken this with both my little ones. Really helped boost my supply and keep it up. Didnt upset my stomach or make me smell like maple syrup the way other ones have. Highly recommend! 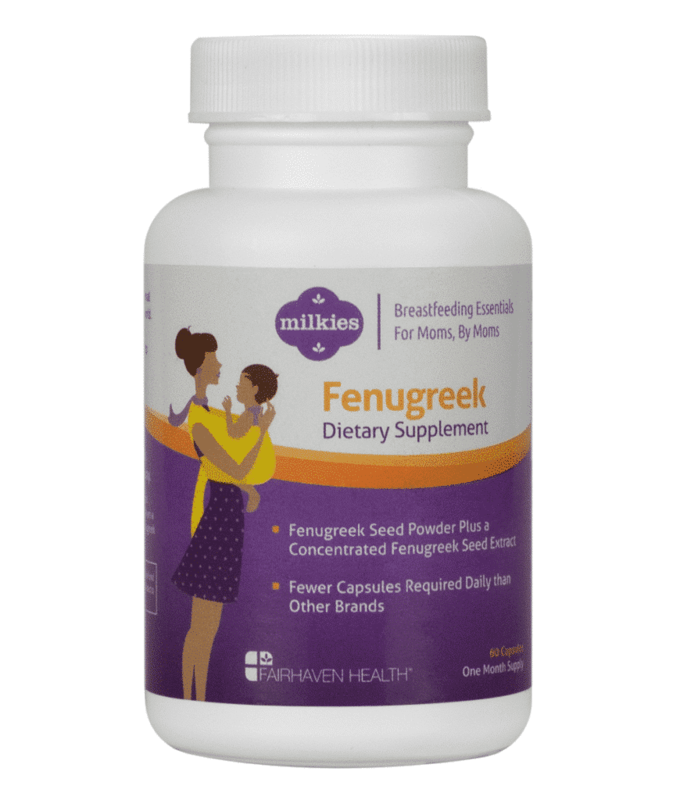 With my first child I hadn’t heard of Fenugreek and struggled with my supply and finally quit breastfeeding at 9 months because of the struggle. Now, with my second child I’ve been taking Fenugreek as directed, she is 2 months old and (thanks to a app I have to track it) I have pumped 28 gallons. It’s outrageous, I love it. My wife said that it did as advertised. Exclusively Pumping Mommy - It works! Not just for women's health! I purchased the Fenugreek for MY (male) health. It has helped with libido and over all sexual ability/performance/enjoyment. I take one capsule every day. 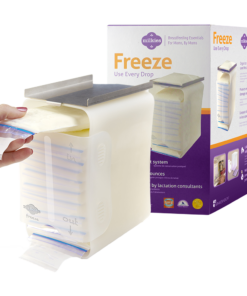 Will continue to buy this product. Thanks! Dave.